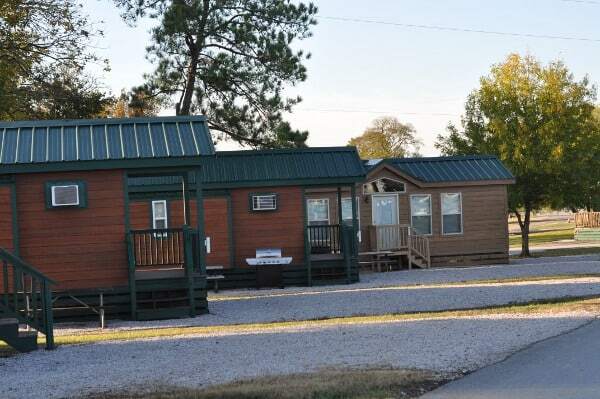 We just came back from glamping at Thousand Trails Lake Conroe! 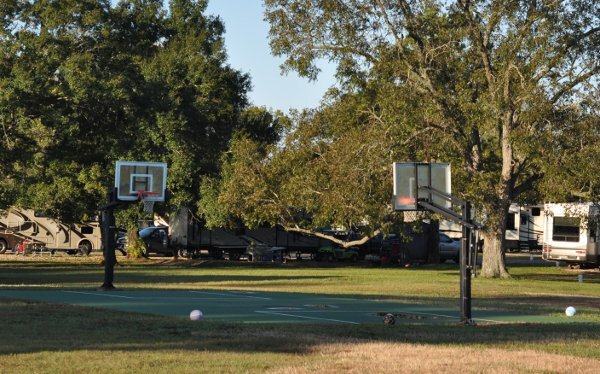 This campground has a beach, boat rentals, games, mini golf, playground and more. There were a million RVs here for the holiday week, but we “roughed it” in a Petite Retreats cabin… We got to do all the camping things, but with heat and showers and a kitchen! I had six kids with me on this trip… and they had the best time in the sun AND the rain. And I really liked keeping all the kids close by as we played at the beach and made smores and told stories. 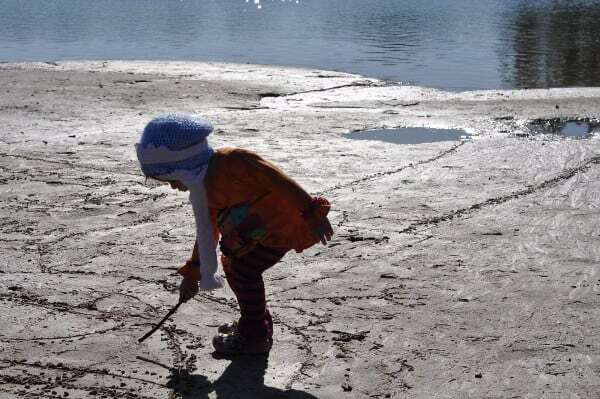 We had recently been to Thousand Trails Colorado River… and Thousand Trails invited us to the Lake Conroe location. 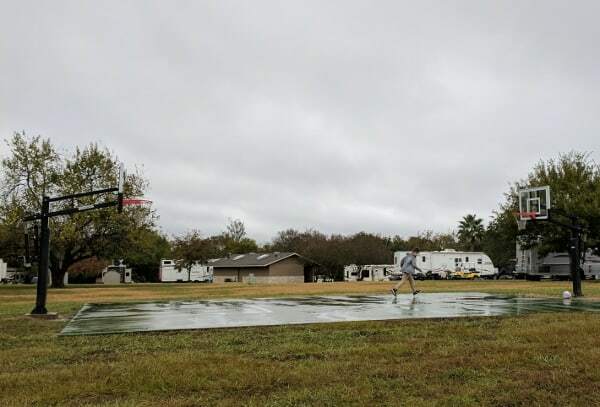 This campsite is a lot like the Colorado River location, with lots of things to do… but it has fewer trees and trails and no deer, racoons and armadillos by the sidewalk. 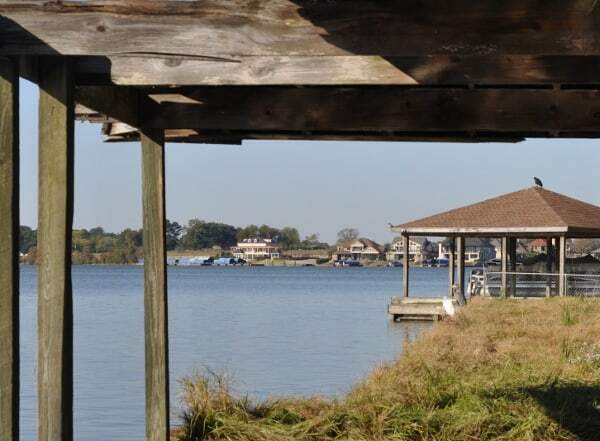 Lake Conroe is bigger and has a beach and access to boat rentals. 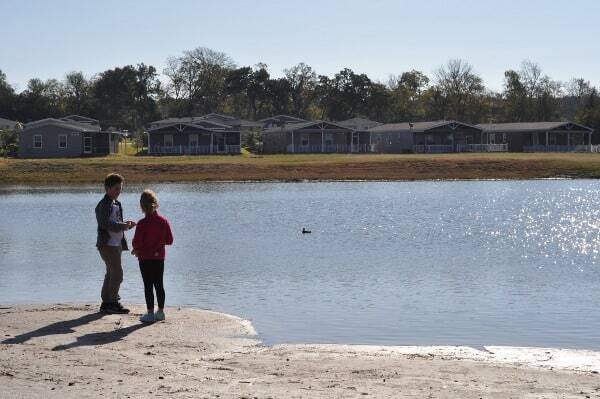 You can launch your boat from the campground or borrow a jon boat, paddle boat, kayak or canoe. 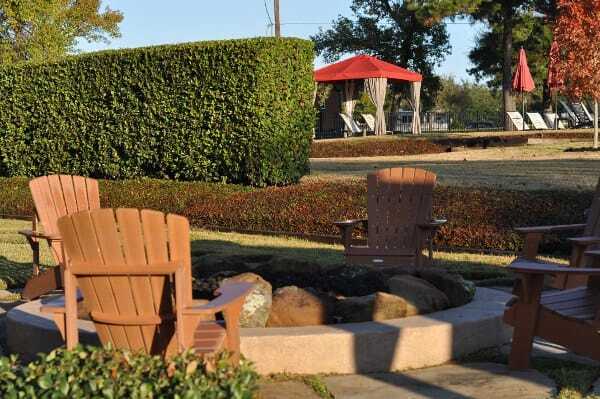 Or you can find mini golf, pool, basketball courts, activity center and more. 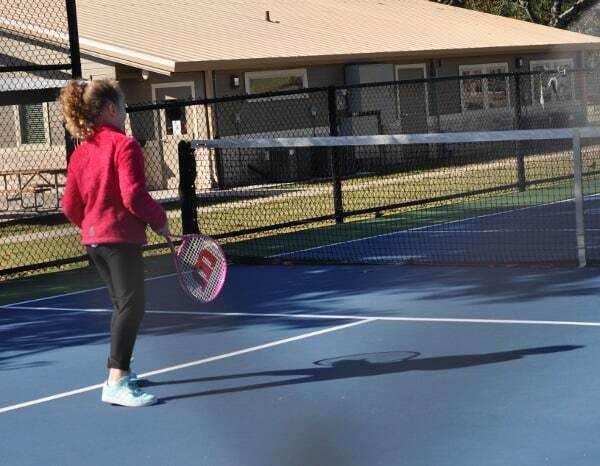 It was chilly when we visited, so we skipped the pool and boating… but we had a seriously good time on the tennis courts and mini golf course. And when the two cousins joined my four kids, they had even more fun running around and playing on all the equipment. All the gear (like balls and rackets) are out and there is no need to check out equipment. You just go and play! Check out all the pictures! There are two sizes. One sleeps 4 and another sleeps 6. 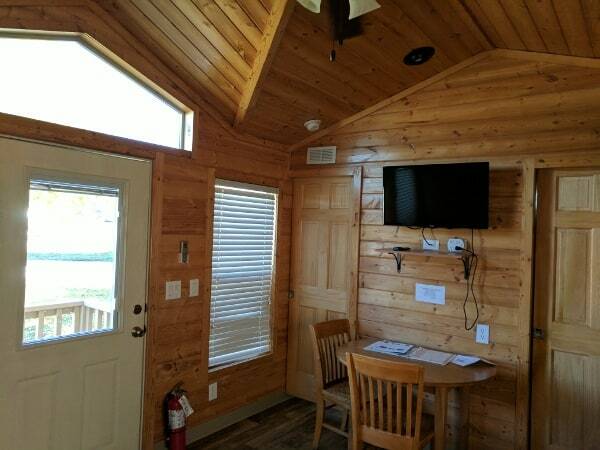 On this trip, we had the big cabin! 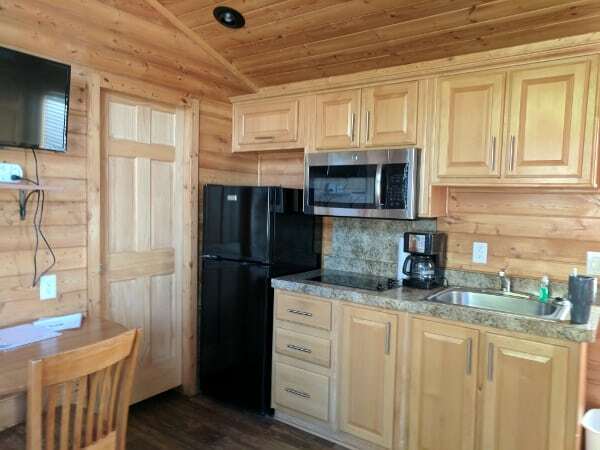 The cabins are air conditioned and heated with a kitchen, bathroom and satellite TV. A propane grill is outside. 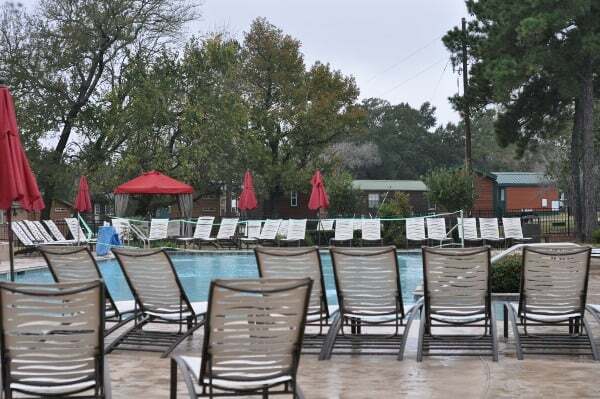 Thousand Trails also has spaces for RVs. The kitchen is fully stocked with pots and plates and silverware… but you need to wash and return everything you use. The campgrounds have a lot of things to do! 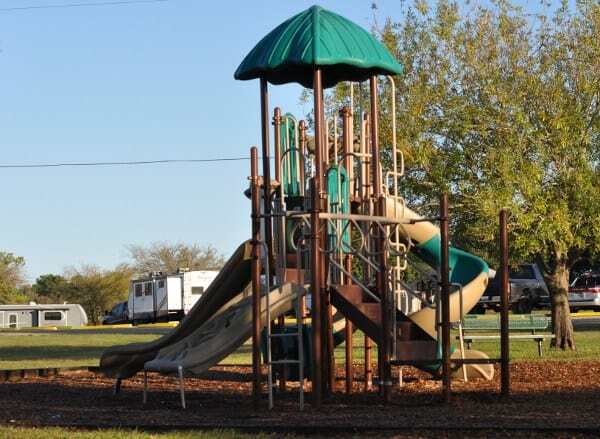 Fishing, playgrounds, basketball, volleyball, pickleball, mini golf and more. If you have room in your car, bring bikes and balls so you have even more to do. We the addition of two kids, we managed to eat all our food the first day. Lucky for us, the Kroger in Willis was just a short 10 minute drive away! 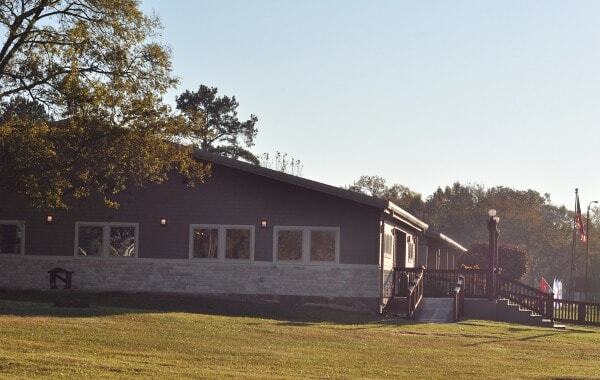 If you are looking to glamp close to Houston, check out Thousand Trails! 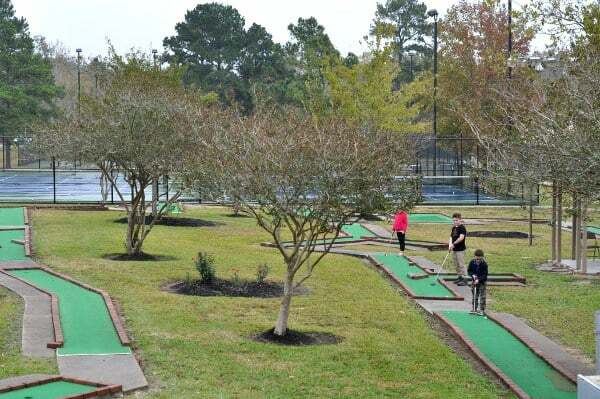 Eat and Play at Swanny's Grill!